Four years ago we produced a paper on the production timeline for the future submarine, and what that meant for the longevity of the Collins fleet. Our ‘Mind the Gap ’ paper was based on information that was already in the public domain at the time and, given the media reporting yesterday and today , we thought it worthwhile to reprise what was known even then and to update the conclusions in the light of the recent improved performance on Collins maintenance. In other words, Defence’s estimate at the time was that the earliest a boat could be delivered was 2029, and 2034 was the latest date in the range presented. 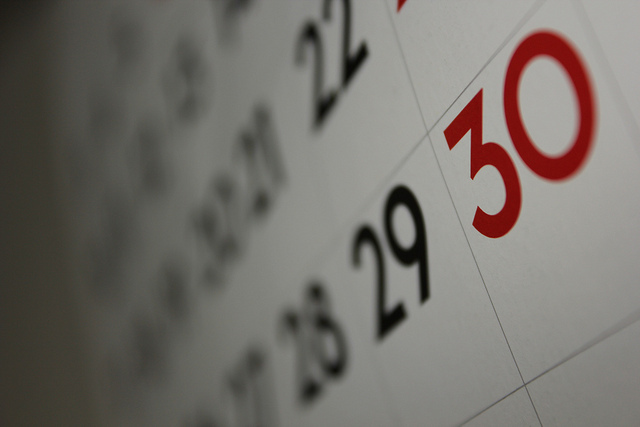 In our 2012 analysis we looked at a couple of potential starting dates. To test the sensitivity of our conclusions to input assumptions, we based our earliest startaing date on the slightly shorter timeframe that would result if the future submarine was delivered on the same timescale as the Collins class—a somewhat rushed program with a series of well-documented technical issues that required years of work to remediate. Under the assumption of a Collins-like timetable, our estimated first delivery of a future submarine was 2028. Based on the experience of other countries that have ordered existing submarines from European suppliers, the first boat could be delivered approximately seven years after contract signature, with one every 12 to 18 months after that from the home yard, or on a similar schedule but with an additional upfront delay of a couple of years for the construction of subsequent boats in Australia. So the potential earliest delivery date of an existing (and unsuitable) design from an Australian yard was, in our estimation, nine years from contract signature. Starting now, that would be 2025. Herein, perhaps, lies an explanation for why Mr Abbott is ‘flabbergasted’ at the ‘delay’ in submarine delivery . Until the politics of leadership and South Australia imposed a rethink in early 2015, a direct purchase of Soryu from Japan was rumoured to be under active consideration . Under such a plan, delivery in the mid- to late-2020s may have been feasible. Of course, that was closed off with the initiation of the CEP and the all-but-certain acceptance of a more time consuming local build strategy. To summarise, here are the dates that we discussed four years ago, all based on open-source information. We’re planning to redo our calculations based on current information. One of the things we expect to find is that the situation late next decade and the early 2030s will be better than we estimated four years ago. That’s because the Collins fleet is now operating on a ‘2+10’ basis—a two year full cycle docking, followed by a 10 year operational cycle—rather than the ‘2+8’ that prevailed at the time. 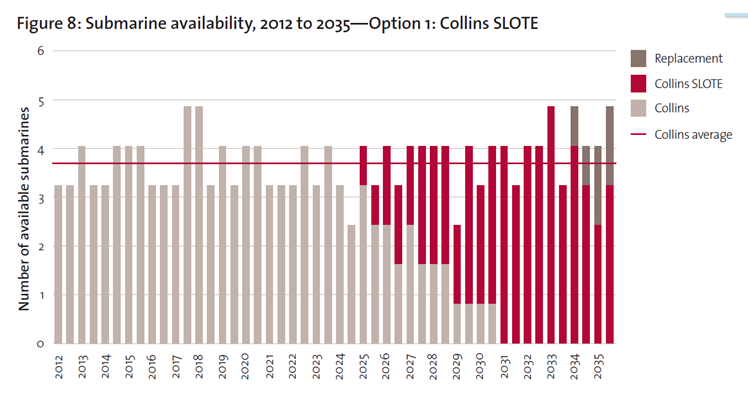 (We expect that the extended cycle will only partially alleviate the need to extend the life of the Collins.) On an encouraging note, Collins availability has increased  due to some good work being done by the collective that manages the fleet (Navy, ASC, Defence and Finance). Andrew Davies is senior analyst for defence capability and director of research at ASPI and Mark Thomson is senior analyst for defence economics at ASPI. Image courtesy of Flickr user Dafne Cholet.